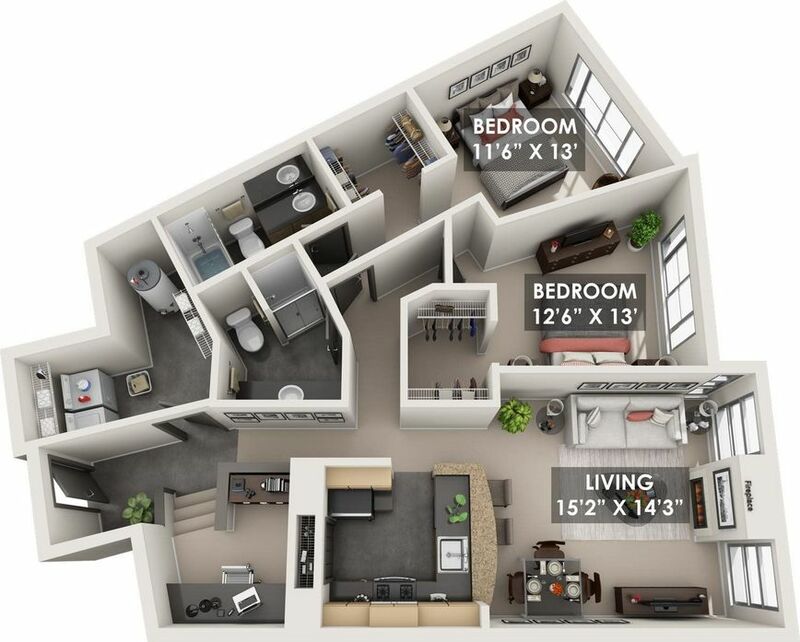 Come home to covered parking, bright open rooms, abundant storage and spacious balconies. 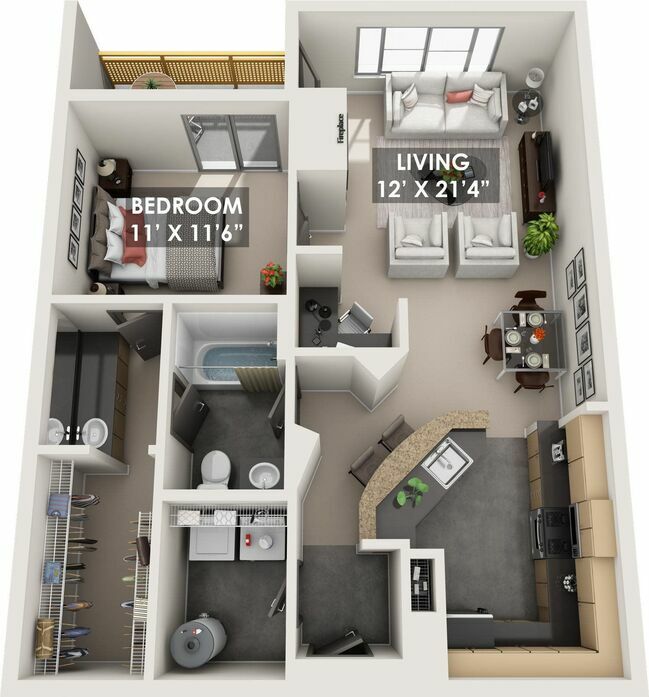 This intelligently designed studio features ample storage, a work space, balcony deck and full size appliances. 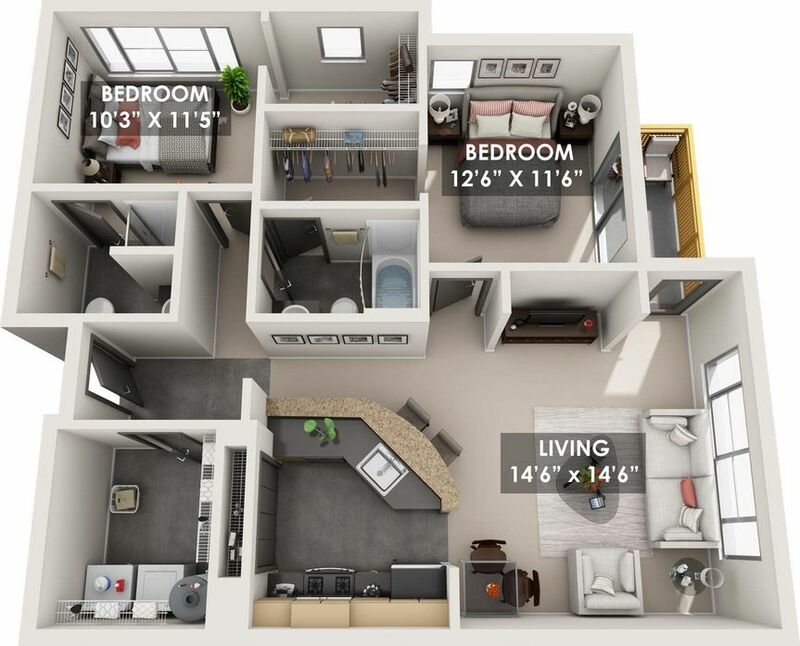 This apartment home features an ample living space, den, and full size appliances. 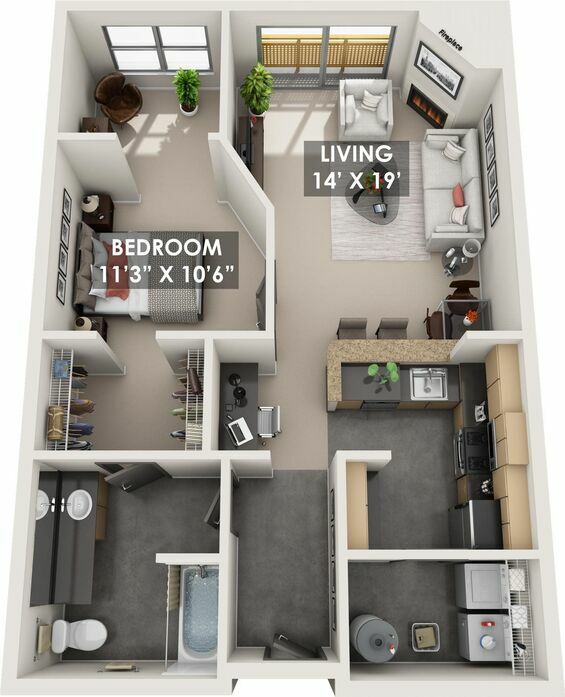 This spacious one-bedroom features a gas fireplace, walk-in closet, balcony deck and full size appliances. This apartment home features large bedrooms, massive walk-in closets, a balcony deck and full size appliances. 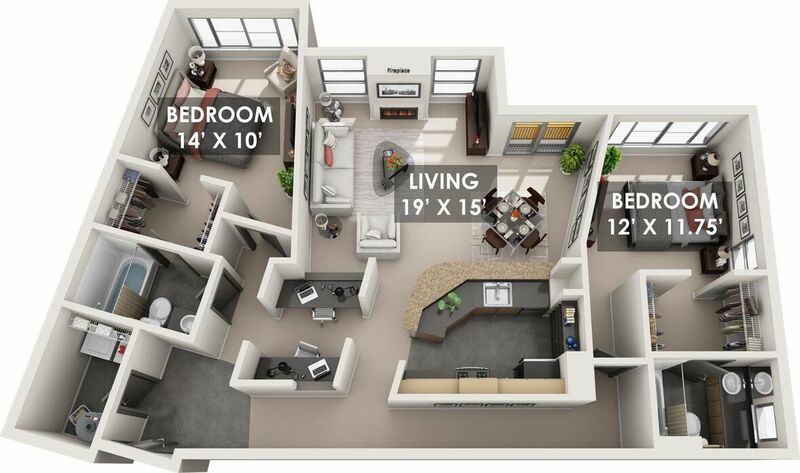 This corner unit features large bedrooms, walk-in closets and full size appliances. 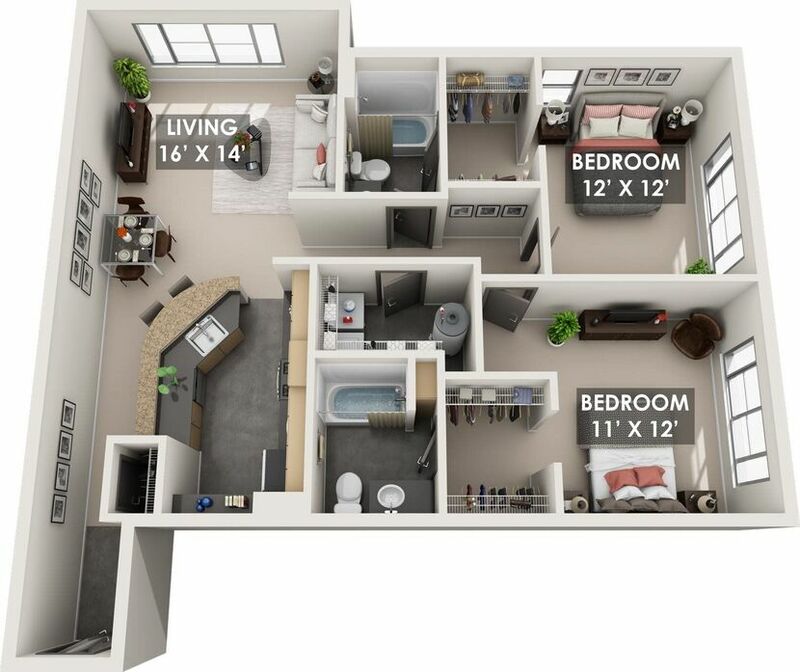 This unit features spacious bedrooms, walk-in closets, and full size appliances. 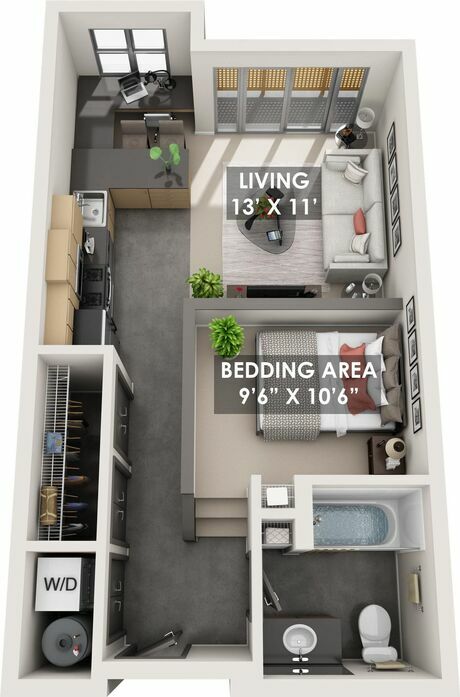 This unique apartment home features a work space, large walk in closets, ample living space and full size appliances. 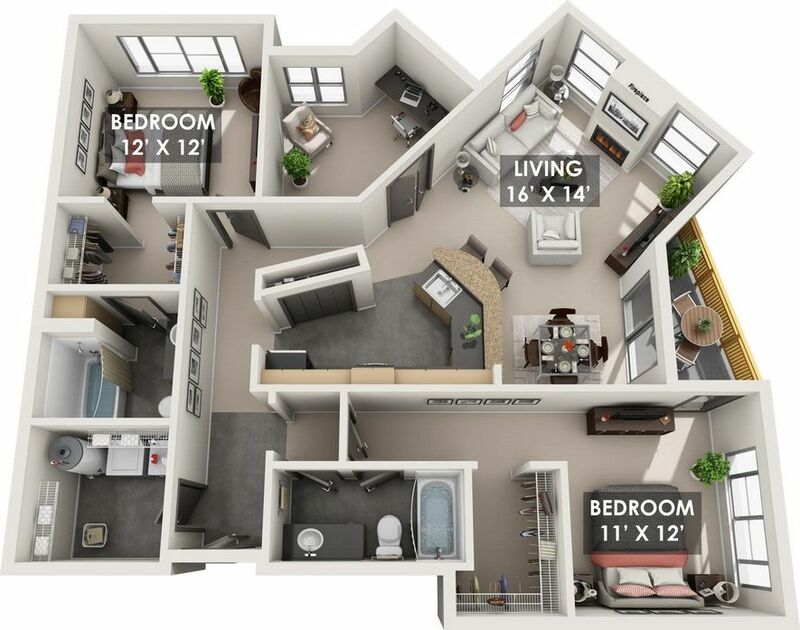 This unit features a large deck, walk-in closets, ample living space, a den and full size appliance.